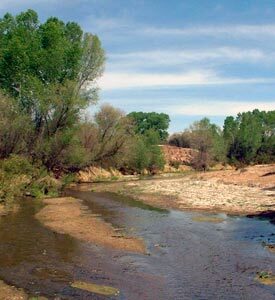 Down By The River B and B is First Class Southeast Arizona lodging in a picturesque locale. Many guest’s reaction upon arriving at the b and b is “Wow, what a wonderful location!” Our guests find us to be secluded, romantic and a great place to relax and feel at home. We have been described by Bruce Penton, a Canadian Travel Writer, as “One of the Most Spectacular B and B’s in the US.” Book with us and find out why he said this. 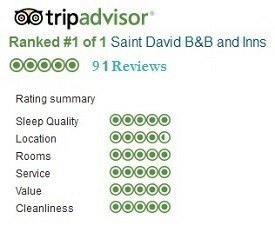 We have been described as a “Destination Bed and Breakfast” in Lodging Reviews. Our Southeast Arizona lodging is a Santa Fe style B and B and is within sight of the northern end of the world famous San Pedro National Riparian Conservation Area. The San Pedro River flows behind Down By The River B and B. This is one of the best birding areas in the US with an estimated 400 species of birds that may be seen in the San Pedro Valley. 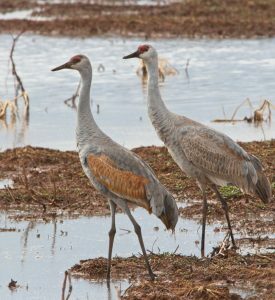 Over 240 birds can be seen during the migration through the area. Birds are found wintering in the area or are year around residents. Within an hours drive from us there are some more of the best bird watching the world has to offer. 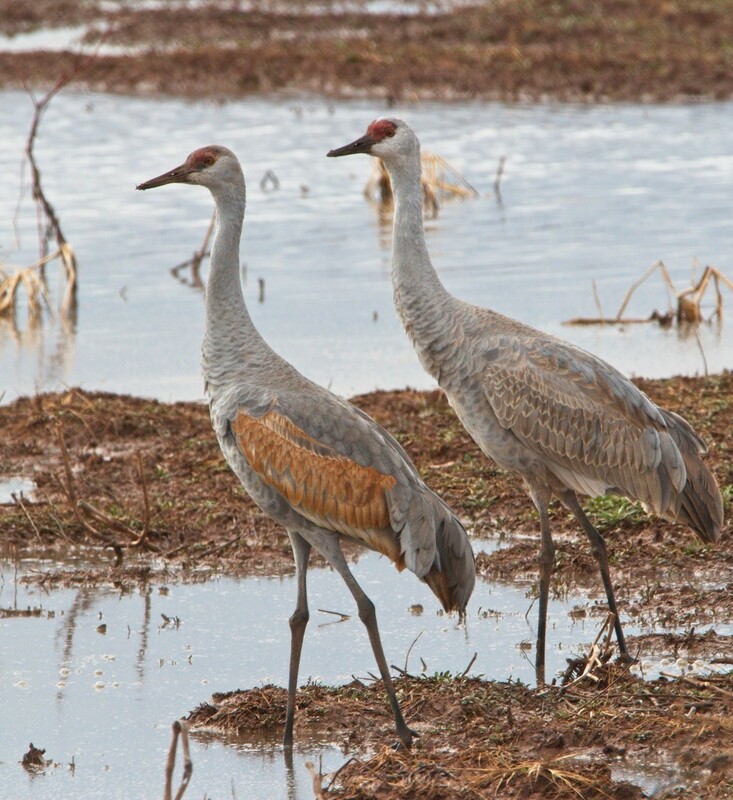 such as Whitewater Draw where there are tens of thousands of sand hill cranes. Down By The River B and B is the Southeast Arizona “Lodging Hub of Cochise County” giving our guests the ability to make short day trips throughout Cochise County, parts of Santa Cruz and Pima Counties from a centralized location. Attractions include Kartchner Caverns, Tombstone, Bisbee, Arizona Wine Country and many natural and historical locations. Staying at our San Pedro River B and B will fulfill your travel requirements. Check our list of things to do and see what memories you can make! In the morning, wake to fresh coffee or tea and smoothies followed by a full gourmet breakfast. Sit back and relax and watch a magnificant sun rise while your host prepare top flight food with a lot of very personal service thrown in. An incredible 14′ Handmade handmade mesquite table is where you will dine. 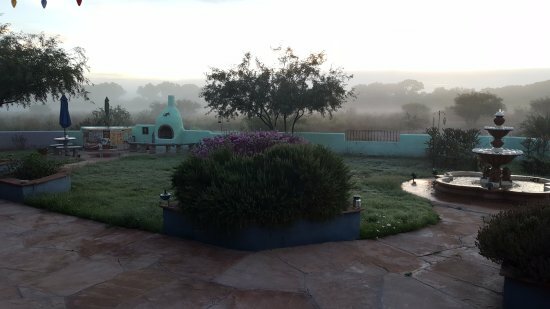 The morning vista from the common room at Down By The River B and B is the cottonwoods bordering the San Pedro River with Cochise’s Stronghold as a backdrop. The view is sometimes interrupted by birds coming to the window feeders during daybreak. "For reviews at independent sites click on the links below."